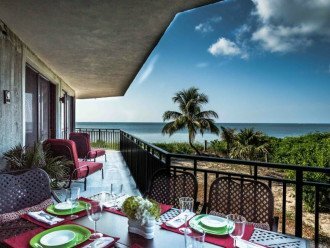 ** Ocean Front**Ocean View From Every Room *90' Scenic Balcony Huge 2200 Sq Ft under air. 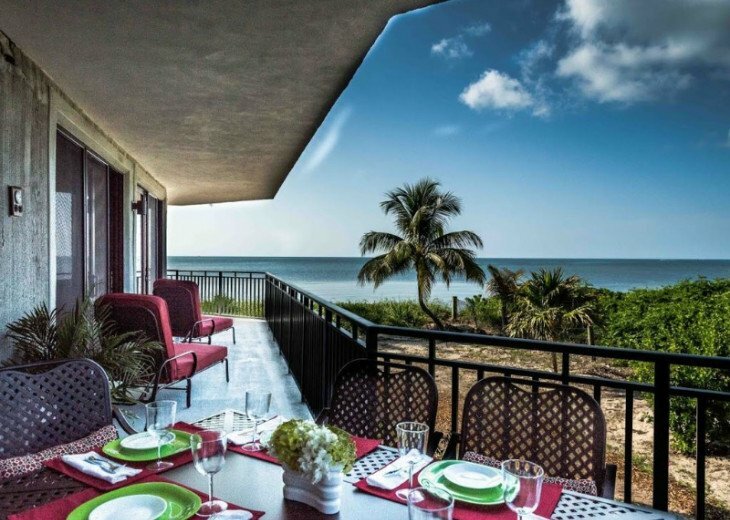 OCEANFRONT… There is nothing like it. To me, it means being directly on the shoreline with nothing between you and the sensation of the ocean. 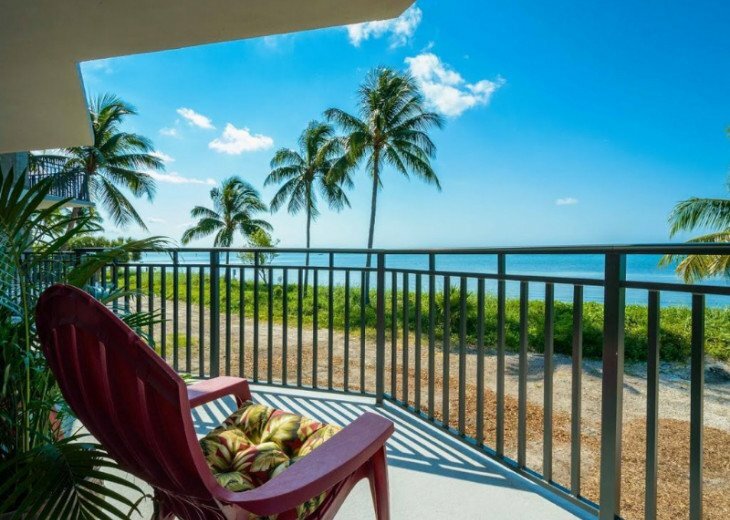 Totally different from Ocean View, which could mean having to lean over your balcony and look up the side of the building while your partner holds your legs so you don’t fall, all to see a partially obstructed or distant view of the ocean. Oceanfront is like “front-row-center” at a concert. 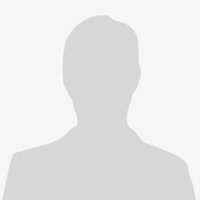 Going VIP… nothing else comes close; everyone else takes a seat behind you. It’s why you spend all your money to go on a tropical vacation. Everyone wants it… only the 1% actually enjoys it. 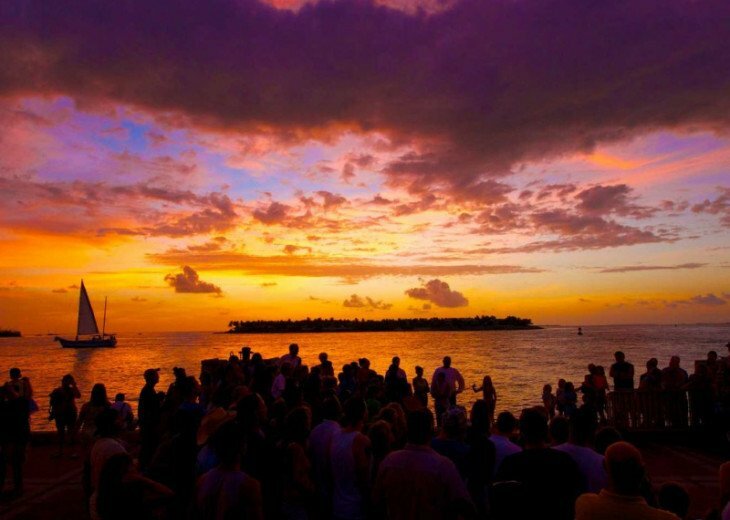 For a small island, Key West has very few oceanfront properties. 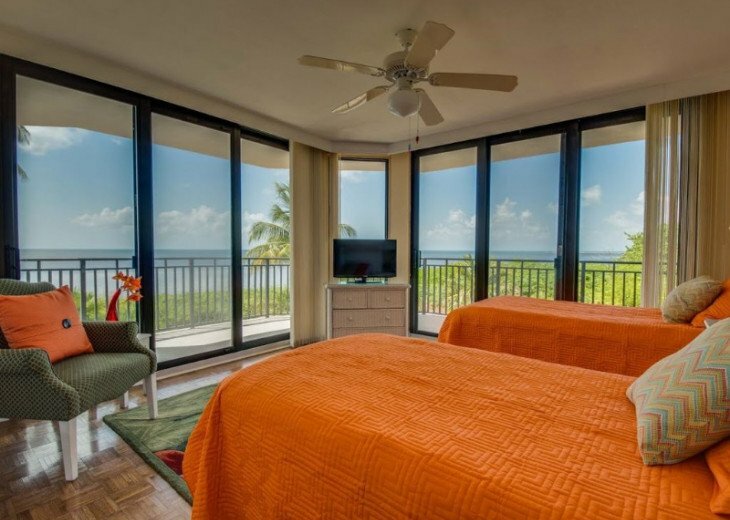 Not only is this suite Oceanfront, it is also this is one of the largest oceanfront suites in Key West. You are literally about 20 yards to the shoreline. 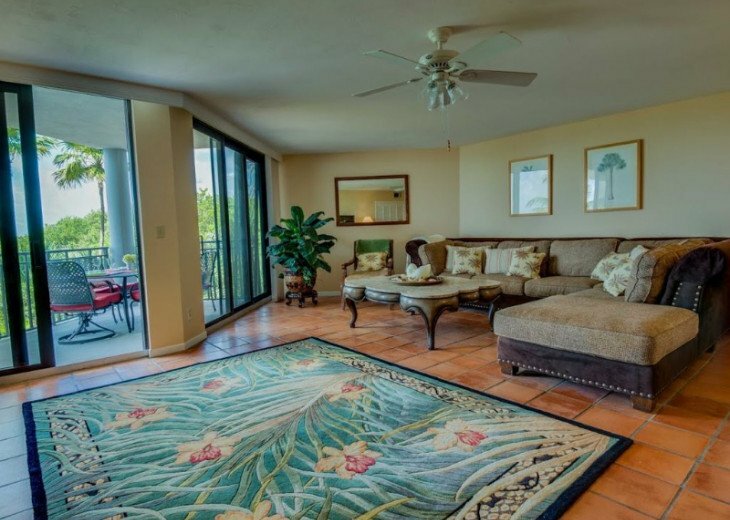 From your 90 ft. long wrap around balcony, you will enjoy magnificent unobstructed ocean views. The patio is so long, you can view the sunrise from one end and the colorful sunset from the other. 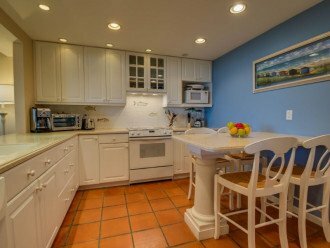 This suite is located in the most private, secluded and most desirable portion of the building, away from the pool area and the noise and traffic of Roosevelt Boulevard. Directly in front of you, take in the sights, sounds, and smells of the ocean. To the far right, is Berg Nature Preserve. The only sounds you will hear are those of the ocean birds and windsurfers cutting along the waves. Being in such a secluded area, away from the city lights, the sky is so dark you feel you can touch the stars. 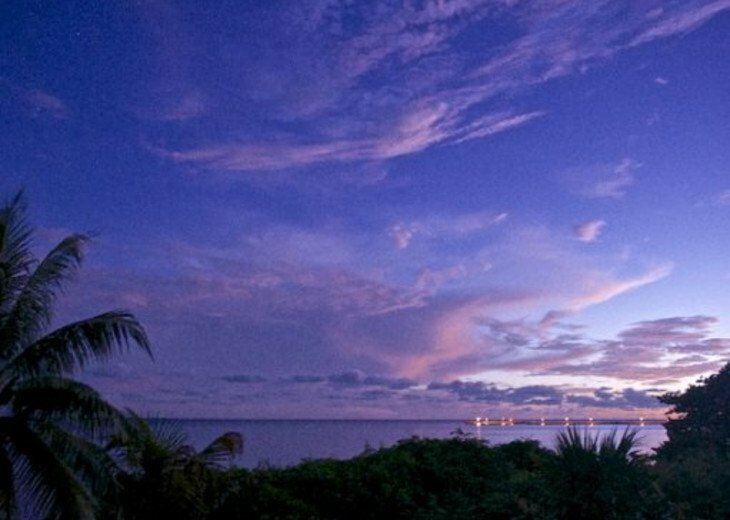 Enjoy a nightcap off the master balcony with a loved one, while gazing up at a full moon. All bedrooms and the living room have spectacular views of the ocean as you can see from the pictures. There are newly installed reinforced sliding glass doors, which can be left open to allow the tropical trade winds to flow freely throughout your living space. 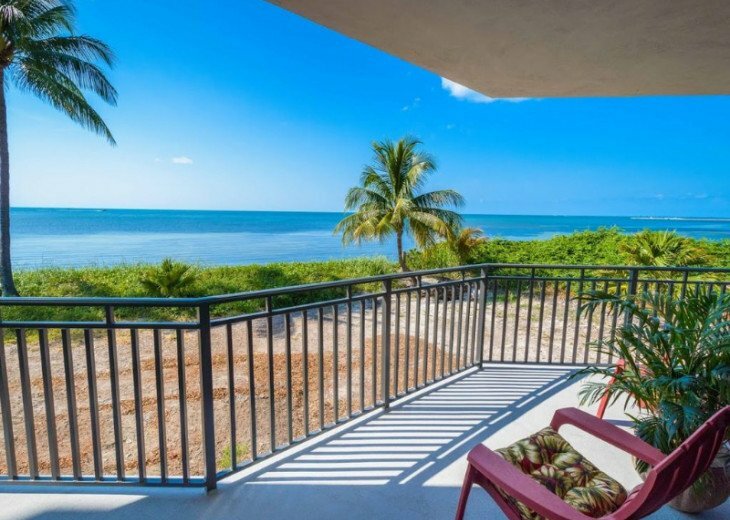 As mentioned, this is one of the largest oceanfront suites in Key West, so there will be plenty of room for you and your guests to have their own space. 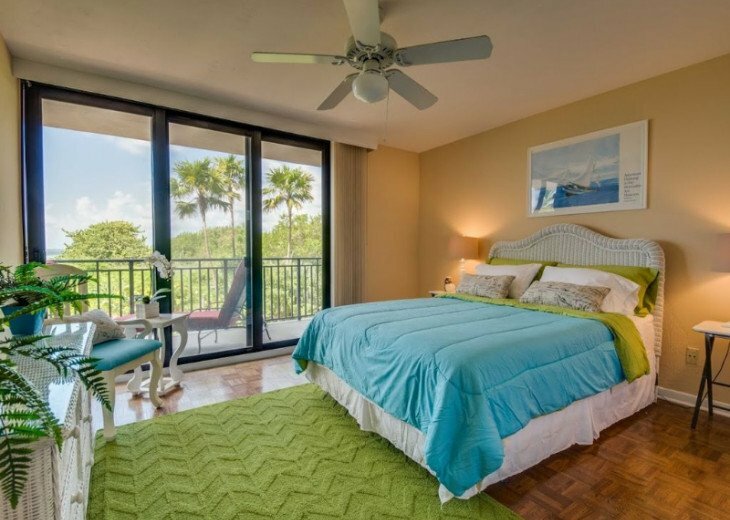 This 3 bedrooms 2 bath suite is furnished with one king size bed, one queen, and 2 single beds that can be combined to make a king (upon advance request). 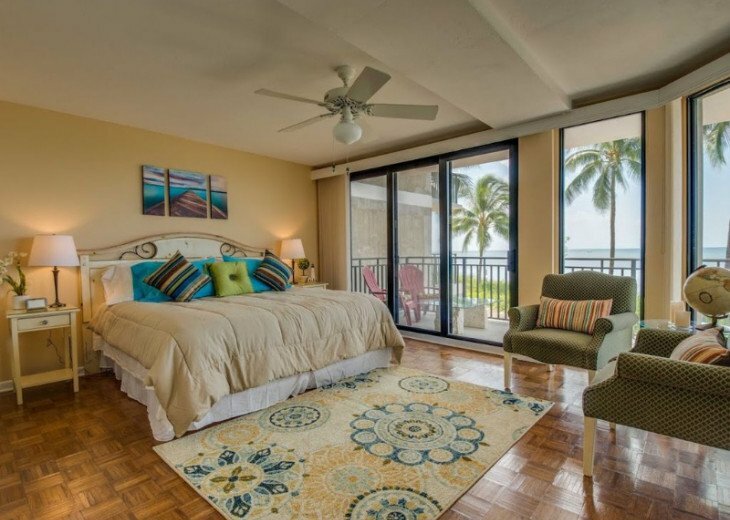 All 3 bedrooms have a magnificent ocean view like none other. 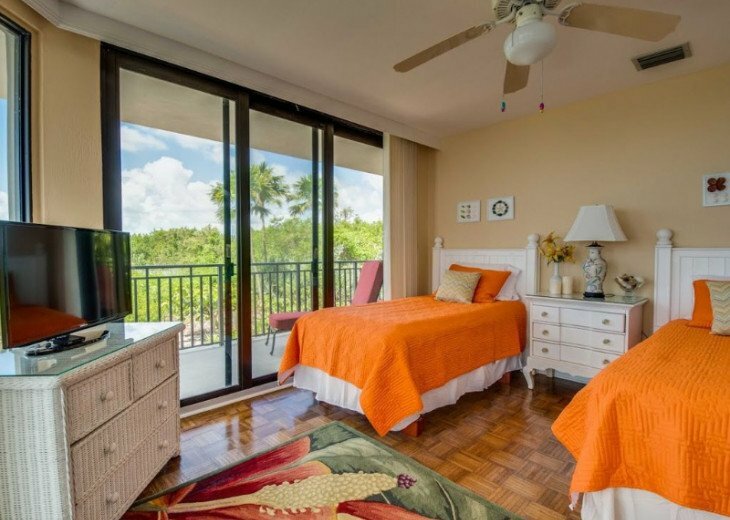 There are also 2 single roll-away beds and an oversized sectional in the living room. Upgrades include free high-speed wireless internet access, so bring your wireless devices, laptops, and computers. 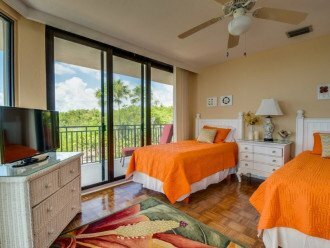 All bedrooms are equipped with new flat screen “smart” television with Hi-Definition Cable. 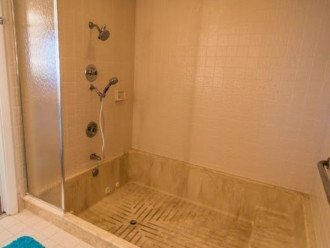 The master bathroom is equipped with a “spa design” shower with a body sprayer. 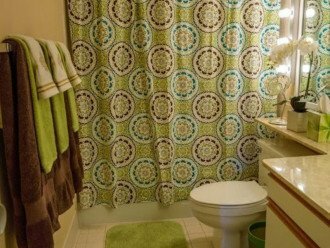 Master bath includes his and hers separate vanity areas, along with large walk-in closets. There is also a new washer and dryer for your convenience. 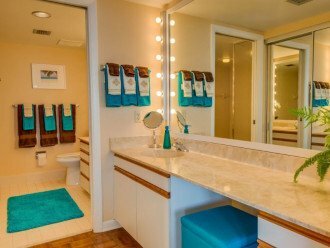 For an additional charge, daily or weekly housekeeping can be provided. You don’t have to eat out every night. The eat-in gourmet kitchen is large, fully-equipped with high-end appliances, including name brands such as Sub-Zero and Jennair. Also included are microwave, blender, toaster oven, coffee maker, toaster, table settings, dishes and pots, and pans. Take a scooter ride to pier fish markets and bring home some fresh jumbo gulf shrimp and stone crabs for dinner tonight as you enjoy the sunset from your outside patio. 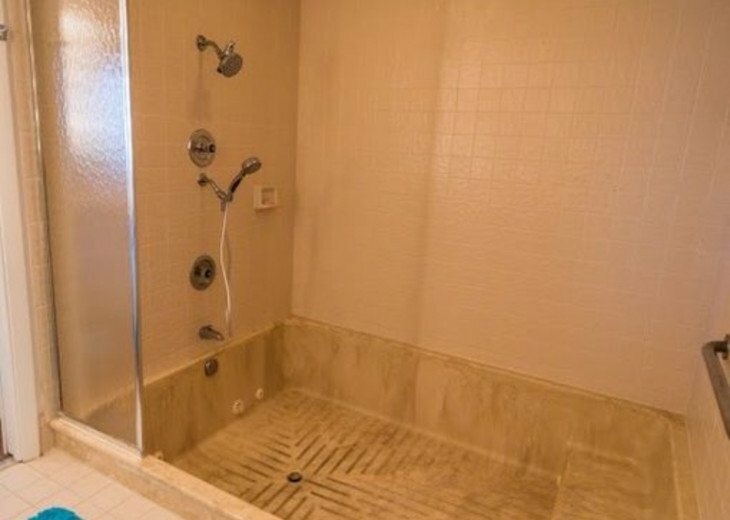 Amenities: there is really no need to leave the property. 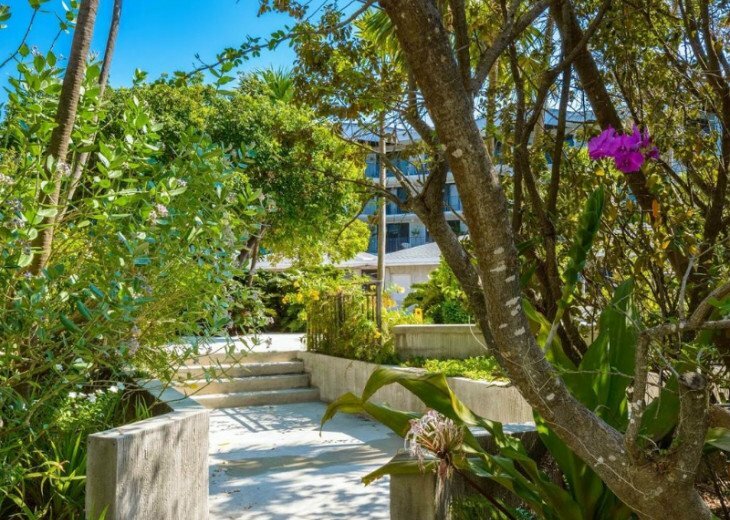 Grab your towel and flip-flops and head downstairs. 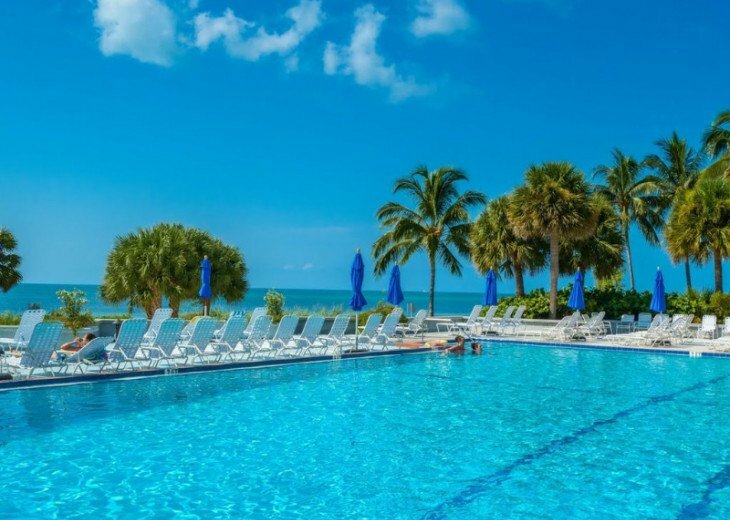 Take a dip in the 70 ft. heated Olympic pool, located just feet from the water’s edge. Recline on the deck and work on your tan. Relax your muscles in the oversized 12 people in-ground heated Jacuzzi. 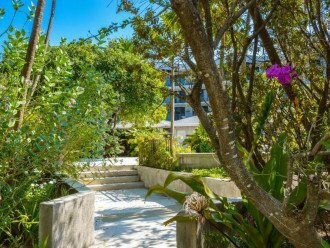 Take in the well-manicured lush landscape including all varieties of orchards and tropical flowers. 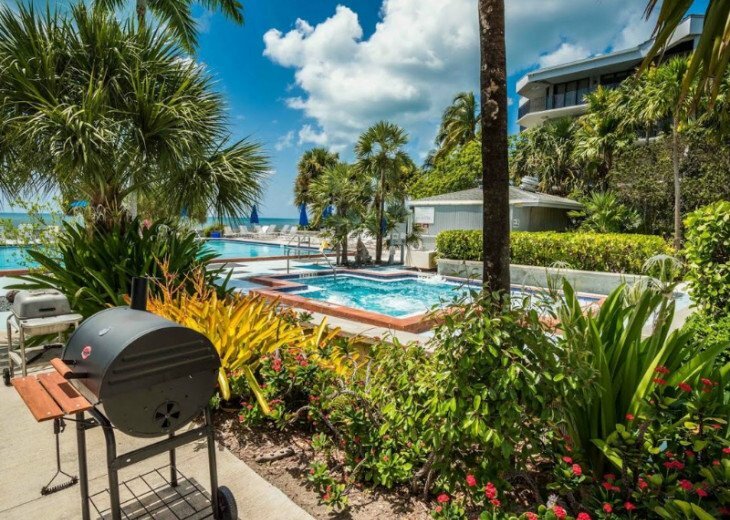 BBQs are situated near the shaded pavilion for your convenience. Bathrooms, lockers and Hot Stone saunas are conveniently located poolside. 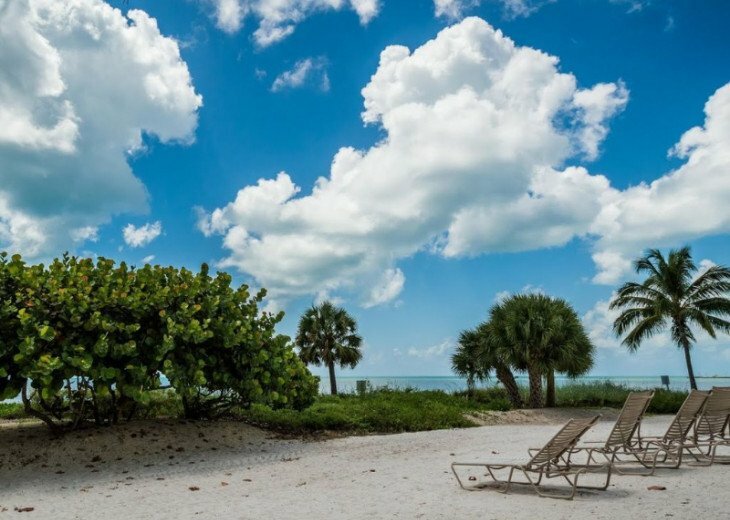 Just a few steps to the left of the property is Smathers Beach, Key West’s longest beach where plenty of activities are located including volleyball, sailboat rentals, and parasailing. For a nominal fee, local bike rental companies will drop off “Beach Cruisers” to your doorstep. 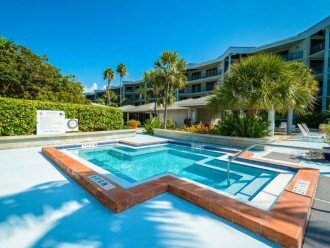 Ride the numerous bike paths and trails, peddle along the beach, or take a 10-minute ride down to Duval Street and some afternoon shopping and lunch. On your vacation, I suggest you do something different and rent a Scooter or electric car. They are a fun and exciting way to explore the island. Also, enjoy a round of tennis. 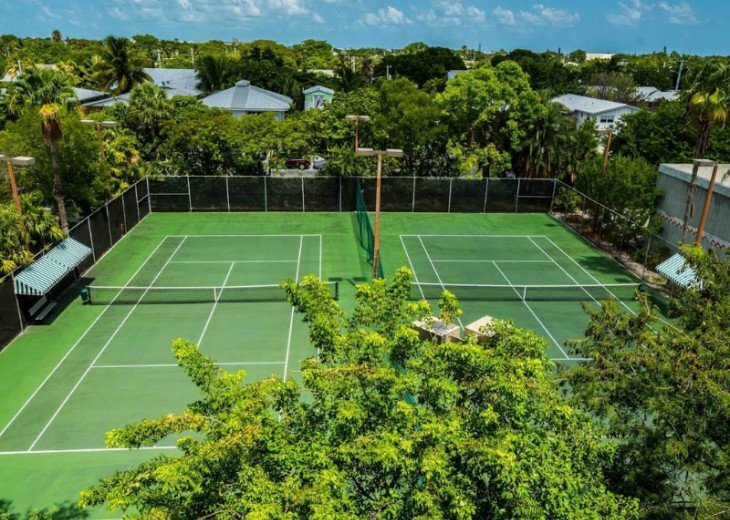 On property is one of Key West’s only clay tennis courts. 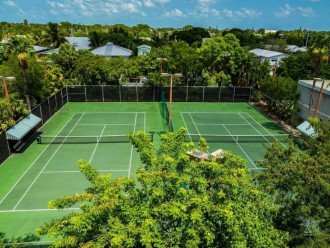 Also available free of charge are two lighted hard courts and handball courts. One covered off-street parking space is provided, and ample guest parking spots are located outside. The property is very safe and secure with full-time, around the clock security patrol. 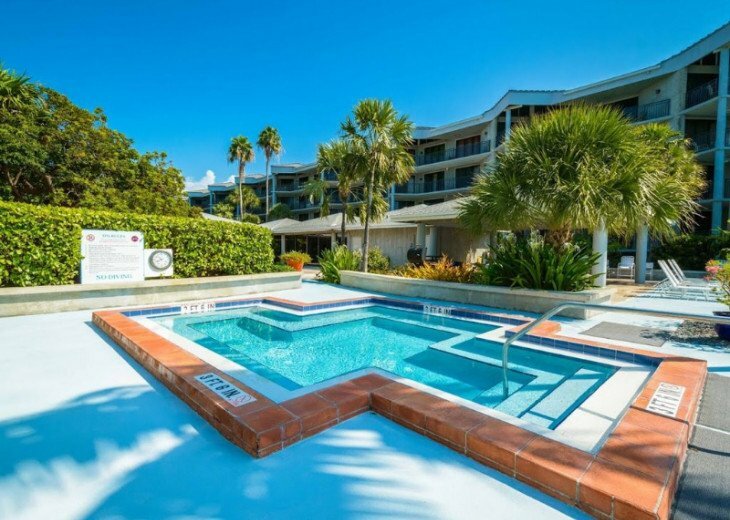 The property is located close access to the airport and car rental area and about two miles to Malory Square, Duval Street, the shopping district and cruise ship port. Check-in time is 4 pm Check-out is 10am. You must be 25 or older to rent this unit. Not available to spring break students. Please indicate ages of all renters in correspondence. Why this property? It's one of the largest ocean front suites in Key West. 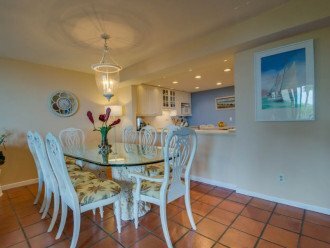 3 bed room, 2 bath, 2200 square ft .You are literally 20 yards from the oceans edge. 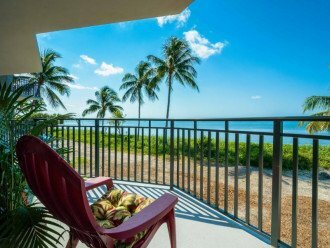 The wrap around balcony affords 90' of unobstructed ocean view. 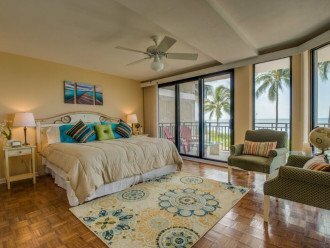 Every room in the house has a view of the ocean. To your right is a nature preserve, so it is very quite and private. To your left is Smathers Beach. 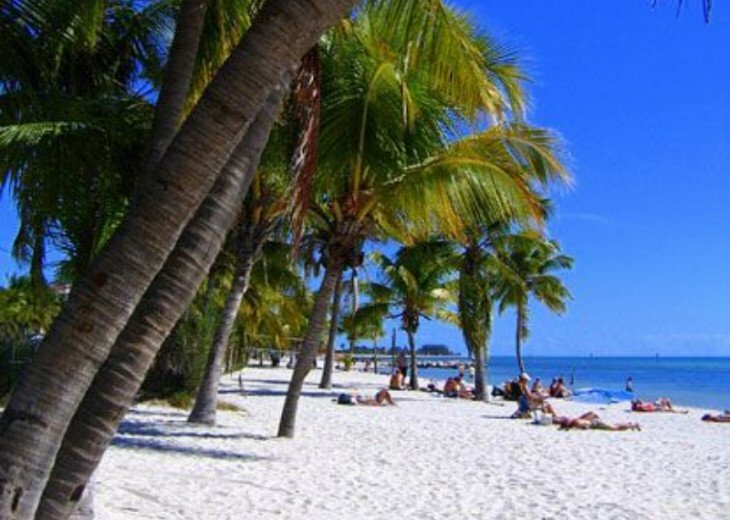 Key West longest and most beautiful beach. 4 miles of palm trees and white sand. The area is so secluded, and away from city lights, that the night sky explodes with stars and constellations. New flat screen HD TVs in all the bedrooms, high speed free wireless internet. 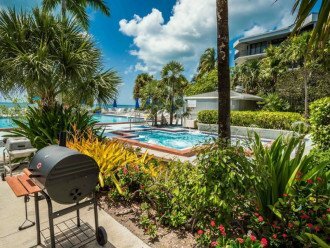 This resort features tropical gardens, heated Olympic pool, 14 person hot tub, free hard and clay tennis courts, round the clock security, Covered private parking. 12 minutes by bike to shopping and town. The views from this condo make me never want to leave. 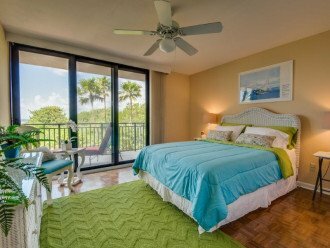 All bedrooms and living room have open water views. Well stocked and nice decor, feels like home. The location is what made me choose this as it is a 2 minute walk to the public beach and many great restaurants a short walk away. I will definitely return! 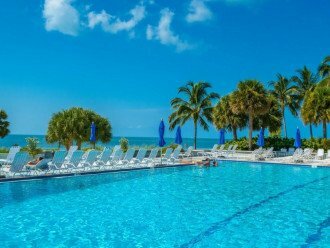 I've been traveling to key west for a few years now and this is one of the best places I've stayed yet, if not the best. The pictures don't do this place justice. I was happy with everything about the condo. First off it is a very secure place, not just anyone can walk in and out. I felt safe staying there and knew all my things would also be safe. I still can't get over the view at this place, you are right on the beach with nothing blocking your view. 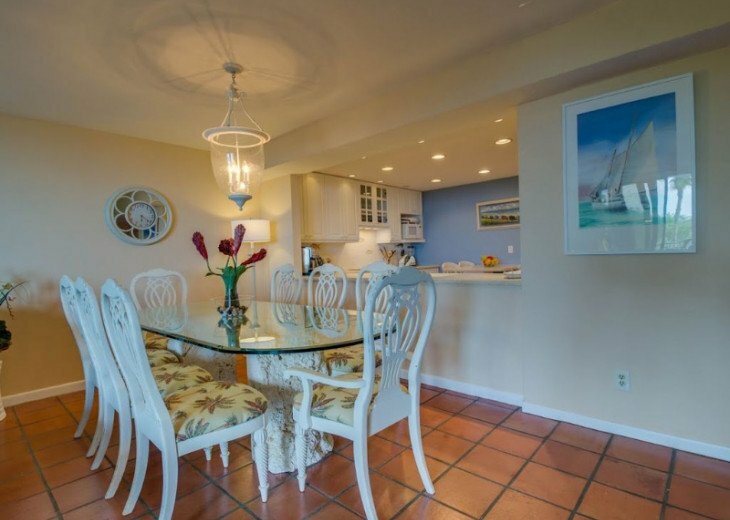 The location is very convenient for those looking to make the most of their stay in Key West. The manager helped make this my best stay too. He was very easy to talk to and deal with, also very professional and quick to reply to any and all my questions. I had contacted him a couple times during my stay with simple questions and he always got back to me promptly. I also received my secure deposit back with no problems a short time after my departure home. I would definitely recommend staying here if you have the chance, I know ill be back. This property is amazing. 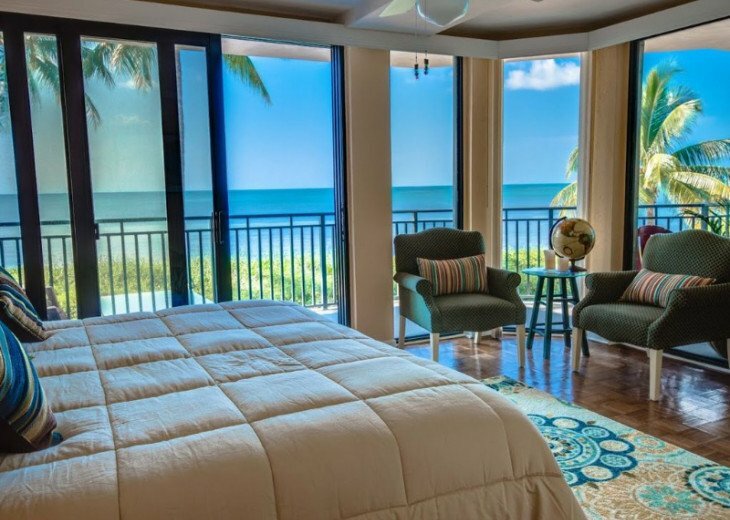 You wake up to your own private view of the ocean! 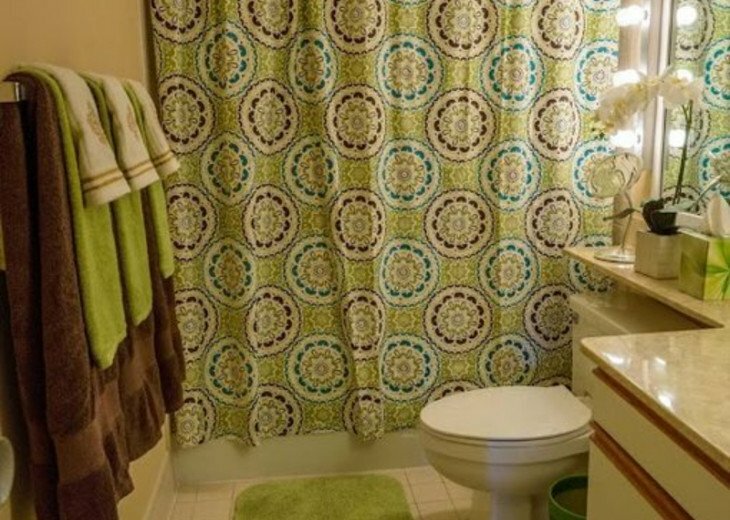 I love how in this unit, unlike others you have complete privacy. The pool and hot tub are beautiful. Every part of the island is 10 min away so we rented scooters. It was nice to have indoor parking for them at the garage. The unit was very clean. We stayed in and cooked some nights and the kitchen has a really nice layout. Plus you get to eat your dinner on the deck looking at the ocean! I can't wait for next year to go back!! This is such an amazing property. 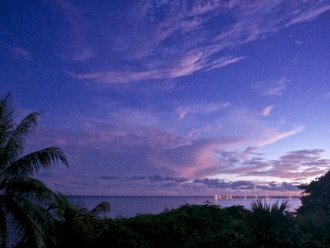 The sunrises off the balcony are absolutely beautiful. It has everything you need and not very far from where you need to go. This is a great place to get away from it all and just unwind .